Create a Color Program Begins Today! Big Bite Baits, a proud sponsor of the Bass Pro Shops Collegiate Bass Fishing Series, is giving college anglers a chance to design their own color. 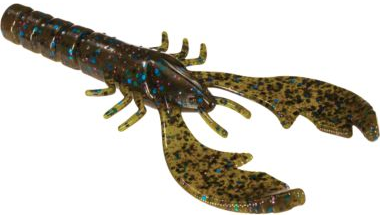 Big Bite will allow a lucky winner to create and name their favorite color in a new craw shape they have coming out soon. After the submission period closes in two weeks, a winner will be awarded with 5,000 baits produced in the color pattern they specifically designed. 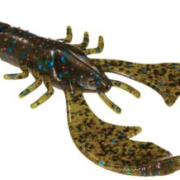 Beginning January 30th, the submission period will open for the “Create a Color Program.” Anglers can send in pictures, drawings, or descriptions of a color design they would like to see made in this new craw shape. When submitting a pattern description, be sure to include a creative name for your new color. 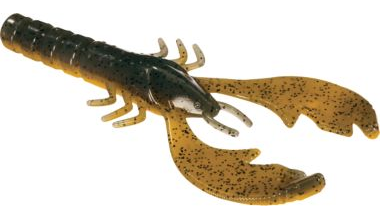 This specific bait does not allow for colored claws, so patterns can be either a single, laminate, or 3-color. All colors can include flake of your choice. The provided examples are of single color with multiple flake, and laminate with flake. Anglers will be able to submit their ideas until February 11th. A winner will be announced the following day, February 12th. This is an opportunity you won’t want to miss! The winner will be awarded with a year’s supply of the bait they helped design. Send your color submission to les@bigbitebaits.com. Following the announcement of a winner, the bait will go into production. Shortly thereafter, the winning team will have 5,000 baits of the winning color shipped to their school. Put on your creative thinking hat and get to work! Best of luck! 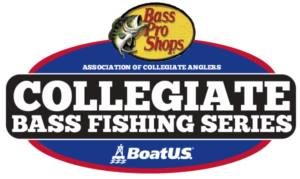 https://www.collegiatebasschampionship.com/wp-content/uploads/2019/01/BBB_Single-Color-with-Multiple-Flake.png 218 380 Shelley https://www.collegiatebasschampionship.com/wp-content/uploads/2018/11/2019-Bass-Pro-Shops-Collegiate-Bass-Fishing-Series-Association-of-Collegiate-Anglers-Boat-US-2-300x179.png Shelley2019-01-30 09:47:332019-01-30 11:57:22Create a Color Program Begins Today!